CRIMINALS ARE NOW CALLED VICTIMS…STOP BREEDING YOUR MADNESS AND ADDRESS IT! I was sent actual pictures of a mother’s son in his own blood after a failed armed robbery. Oh no! The element of surprise was a shot-gun from the stores owners who are well versed in their dying community. His dead body was posted on FACE BOOK of all places with guns in hand…He and his buddy robbed another store the night before… The mother got on television and start spinning her story on how great her kid was and that he had challenges. … I am like… What if the situation was reversed he was charged with murder? What if your son had an established history and murdered someone’s husband, or son? I know she had to tell America how good her troubled son was. The same story, fatherless homes, lack of education and money and among other things. Her struggles so many children later. She would go on to say, it was all a misunderstanding about her life. And the reality if we struggle with one child, why do you continue to set yourselves up for more stress and struggles? What is chosen as the option? We have the Internet, but what do the choose to do than educate themselves is war on Face Book. Yes, we are exposed to more than ever but still one has a choice if it is his or her environment. It doesn’t seem to stop the influx of attaching themselves to labels, what they call rich and famous. Everyone wants to be connected and that is really what breeds many of these rogues. It’s either the act or the fantasy. And don’t get this twisted… Many of the so-called leaders of today… mentality is about the same…What is popular than what is necessary and what is correct behavior! It is …what it is? I hear this nonsense so much but we yet, to have strong community leaders that tell the people to just STOP IT…AND ADDRESS IT! Her son was in a pool of blood… and it was in a store I warned my people to stay out of because for someone reasons the lifeless seems to hang out and hang around and gather with no purpose! I believe America is so morally bankrupt until everything as become more twisted. Right is wrong, and wrong is right. There is so much freedom to whatever until boundaries are now invisible. Why are we always lying about how bad it really is especially with people we love? The reality about a lot of gang affiliations that many are serial killers. They are never seen in that light because of what? Unless one of your loved ones is robbed, murdered or become a victim to the “thug” life. I am personally trying to understand the DENIAL… The confrontation of the pain that a person, we either loved or respected in some warped way they are good people but have hurt someone or other people. The laws in this country today, makes me believe that everyone was out smoking something or under the influence! 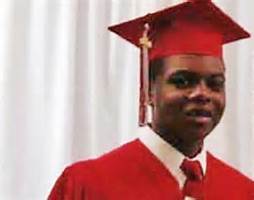 Chicago made some “huge” mistakes by being in denial in how police handles matters and how evil was ignored. This still is never justifiable reason to target people for crimes. Lately, what boggles me is that too many are having passionate parties for individuals who have done the wrong things including every manner of business “especially” in Chicago. Politics are dangerous because of the soul times and the commitment to one’s agenda! Whether it’s right and the truth. Politics with time overlooks how bad it was years ago…and we have some actually “glorify” why one may become a criminal. I hear what they say about why we have so much violence but the stem of violence if often out households who fail to set boundaries in their lives. Yes, life can happen but what is a precursor? The mentality! To become violent is a choice! There are untold stories about hardship and they didn’t take the city streets with murder and mayhem. Let me tell you what is becoming more and more terrifying… Is when it’s wrong and people make excuses for it…so people and systems start to believe in a lie instead of the truth church is also included… You see who bad it is …but then the rebuttals of why it wrong and why one should do this or that…What happens to people who are victims? Do we consistently ignored wrong? Our nation has become less respectful and lawless! No matter if evidence is one’s face…lies whirl. People who are total denial try to ease their conscious with good deeds, this wont change the truth! I listen how one tries to put the spins on the truth. And that disturbs me on different levels. What I know is that we are living in perilous times and we can’t trust people to do the right things. And we have to learn to cover ourselves! . Even if we all were body camera up someone with corrupted clout will come with a bunch of excuses why! HONEST COMMUNITY AWARENESS AND PREVENTION BEGINS IN YOUR OWN HOMES! People that live in urban areas dread the warm weather. With warm weather comes more bad attitudes. Demons don’t care how cold or how hot the friction comes with people who apparently have little self-control. Road rage is on the rise and Illinois has the highest everything including bread and cereal! My point we cut down I know more than half of the nonsense if people take inventory of their homes. Protest is means of showing solidarity…but here is where people get confused… You can march until your shoes sweat this isn’t’ going to control demonic behavior in others. And you think by now folks who stand against violence preach into action! If it sounds insulting then ask the people who have to deal with other folks screw ups in the communities. We sit and try to say all the right things so we stay in the public eye as concerned. How can concern can any community leader be…when they are afraid to take this thing by the root? Lets start in the house and stop trying to blame the police and everyone else for what is a snag in the homes… rich or poor, educated or not educated. It’s sad but today, many are voicing opinions instead of the truth. The family structure is jacked up… and urban society is milked by people who play the games by keeping people beholding to leaders who ain’t worth a garbage can full of flies! Tell the truth and then we can take the streets…How in God’s name can anyone take the streets and can’t govern their own homes? What progress is honestly made? The same positions the same results…When people need to really answer simple truths and stick with it ! I know you love your people but love them enough to either put public nuisances out of your house and take control! You don’t need no one fleecing and sleeping with the sheep than providing strong leadership that requires that you speak the truth no matter what! You wont get a bunch of nonsense but this makes ALL OF US ACCOUNTABLE AND RESPONSIBLE…No one wants to say good-bye in fear of not making it through a summer! REALLY? How much are we willing to risk by being in denial about why the majority of our communities are falling apart! What’s in you house? Is the trouble worth keeping and protecting? And people are alright with this craziness…. Get the violence out of your homes before it hits the streets! I know some people act like they are afraid of their children? Ask questions! First, are you aware what’s going on inside your home? Are you one of those wanna be “cool parents” that “allow” nonsense and illegal activity to run your house? Secondly ask Little Jimmy, or Small Tammy, … Are you selling or using drugs? You shouldn’t to ask if a child has a firearm in the house? If you know that family members have wrong affiliations its time you invite them to the exit doors in your house? What I can’t understand why so many get on national television and say their “people” are good people then the ultimate lies are then exposed! Stop protecting ill behavior it brings trouble back to your arenas! Why one think they are the redeemer… you aren’t! Some folks need not to be in your space. Poor parenting is major in this country. 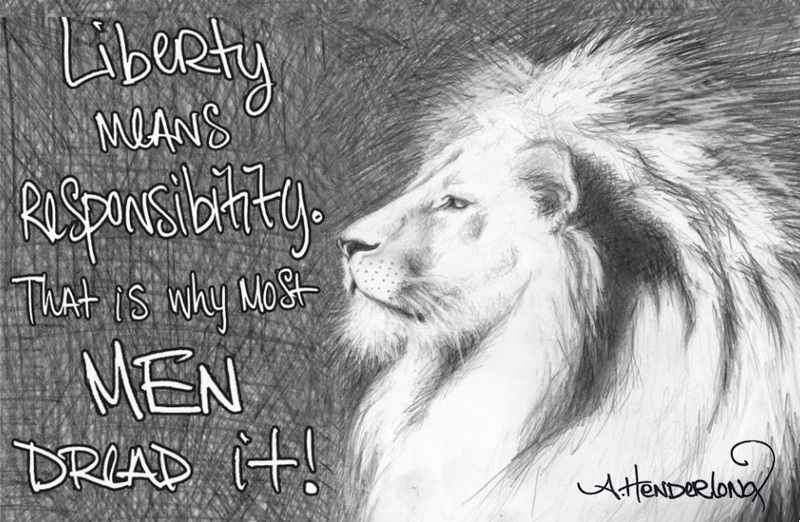 The choices of freedom are continued to be misled. That is why we have a generation that might be a little smarter but they are weak! Are you gang affiliated or hanging around those who you call friends! What chores do they have? Is sitting in front of television or Internet their only option? Parents, you can’t complain or have the right to be angry when your child is shooting up other folks and not expect a level of retaliation sooner or later. It’s this kind of ghetto buffoonery that absolutely blows my mind! What are raising and what are you allowing to go on your watch. Open up the doors and opens and start the new day by getting rid of the junk that is in the homes that protect criminals even if they are the people we love. Sooner or later blood will be on your door steps for all of you who make excuses… Your sons and daughters need more than the latest fashion they, need direction, common sense and sound guidance! A let me be clear a job and education is not the hindrance for thug life…Thugs have fronts to enable the life these choose to have! The message hasn’t been clear enough… but on my watch is shall be…documented or undocumented! 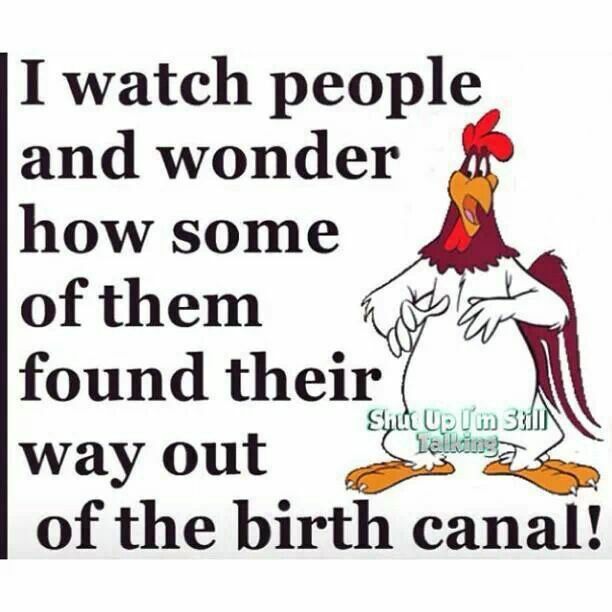 THE FOGHORN LEGHORN MENTALITY…WHO CARES WHAT AND WHO YOU ENDORSE!!!! All of them say they have better days coming and better ways of selling you a “BRIGHTER FUTURE”… Has it happened in the all the years of voting? Have you honestly seen drastic changes for the better overall?Violence is soaring and I know systematically where that root lies..and the political systems are destroyed across this country. Are we really sold on just jobs and education will make them less killers? Where we live has extended that imbalance. If Papa was a rolling stone and you didn’t like it… What can destroy that generational curse? If whore-dome destroyed your family structure then why would one repeat that cycle? Education or a job wont stop the human heart. So many are sold out on just economic developments but miss the entire picture. Yes that might be apart of the decay but what a man thinks that is who he is? We have the most educated gainfully employed will then embezzled for more money? Do you ask was it his neighborhood? Personally, I have seen too many coddle and condone bad behavior. Being poor wont make you violent no more than being rich makes you less violent. We need to be careful why decay becomes decay. Show a man how to fish he fishes for life…But you fishing doesn’t teaches him.This is a national ignorance! One might have well intentions but remember this when you vote… People will sell votes and sell who they endorse behind the booth. When someone comes with their brand and labels… I already know I am a “different” and I embrace that I am different. But I wont short change God by allowing a “heathen” to tell me how to think and behave. We rationalize different sins even in religion… Your church got women with dresses to the floor… and I am not being disrespectful but dresses on the floor is a clear indication you mean modesty is better… I say you don’t know people who well… The flesh is still under those clothes! I have been among different denominations and met some of the greatest people. No one has God down to a science and some try to sell you on a God that they don’t believe in. We have more people use church as a drug and bring their dysfunction to someone who is just as dysfunctional as they are. God made all of us a little less than a angel…Think about it before you comment. My assignment isn’t to change the world but be apart of what changes it. I don’t sell church because its’ tricky! Every church isn’t advocating Christ. They talk the talk but barely really know the language. God is personal and don’t ever forget that. If I tell you nothing else. Pulpits across the globe is only doing what they feel the need to do that is reenact. Here we go…NO ONE IS PERFECT…BUT CHRISTIANS SHOULDN’T BE PHONY EITHER! I know that Americans love allusions. The bigger the proud peacock the more dangerous it gets. Many abort true ministry because the power because seductive. People can be a half serial killers and some idiot will stand behind a podium and say…this is better for me and why! Blindly many our citizens are sold on materialism! Liars being voted in means that a level of deception is going to be sold. When you display very little self control…It’s a wrap for me! I don’t give up on people but I do the nonsense. Although it’s only so many ways to fry and egg…Fry the egg! Vital assessment and components are missing. Even in our religious systems…The people are sold on “who has the best God”…When you leave all you have to do is stay for a moment until the smoke clears and you’d see simply even they aren’t sold out on what they sell! If your God is so much better why do you act so ugly? I quickly tuned them out based on “character”… You can be celebrity …So what? Being a celebrity means only that you have become wealthy in that craft…whatever that might be. It doesn’t help me focus on what is real or memorex. Reality doesn’t disappear because of a zip code or someones’ status. And so many religious leaders get duped this way as well…And this has been why the church no longer is driven by God but materialism…they throw in a little God to keep it appearing as if it isn’t a social club. When in fact, many have no inkling of the pattern God sets for a church…and OH BOY! Have you seen the rules and regulations?…sadly many are out of context…and not understood! It worked so they used it to control the people on misinformation! Our society is sold on what sells. You can have the biggest romp shaker in the world and that will help me do what? And then fleshly decisions are made on the romp business. Strange, no seems to see all the aspects only to what sells for the moment. Never long-term of what the destruction of what is later! I am NEVER that star struck about people. God bless everyone with what they do and how they are gifted to do it. . When people look at anyone without some common sense you can easily put and see people in wrong perspectives. You can be an advocate for violence and be abusive. We need to take things at face value. Unless we have this personal investment we see what we choose to see. People aren’t voting based on what is best but who they believe that arrives at their way of thinking. Forget experience it’s secondary! It’s only one person in the voting booth. My vote is personal and it’s none of anyone’s business. I have never been sold on all because.. Human beings are all flawed. Who can sell me their political or religious manure is based on what I am attracted to. That is a truth teller. Whether what is painful or not. Give me the whole truth and nothing but. This foolishness of endorsement is a mind game! It’s so easy to sell the nation on their sins but what about your own? SILENCE IN THE FACE OF EVIDENCE…MARRY COURAGE!!! What is more frightening to me is when the answer has been there all the time and it’s ignored anyway? Freedom is at the door but you refuse to initiate steps toward what might be right but not popular. What I believe it the most painful is when you can be vindicated and others sit in silence instead of standing up to the challenges. The moment that brings you to the tipping point is when you know what was is the correct way and ignore your heart to say or do something! Standing up may require something but you rather lie to yourself! Facing the giants might be the anxiety of being rejected. Or that you someway or somehow lose because you feel that the majority may be on the same page even in evil. How can someone be in denial for years and all that they need to know is right there. Our criminal justice system is the same way! Just think how so many are unjustly prosecuted sent to jail for years…and here comes one person blowing it all out of the water? I thank God for everything that will bring vindication …But have you notice that no matter how much evidence is presented here comes all these excuses, and formalities to not make it right… When the truth comes forth about what people knew all the time …they spend this time trying to conjure up justification! It sets an angry atmosphere and some become bitter because someone knows what happened! Think about this … It’s strange how so many will go the extra mile for those they favor but can’t handle if the truth comes out about the ones that they favored… It’s time we stop being selective about right decisions. The no snitch seems to active in many sectors and arenas! This reminder of what you wont make it happen for others…God wont let it happen for you! Oh the fool said…” I did everything to save my marriage… And the children replied everything but came home”. My son ain’t no killer…he is a good boy has done good-by me …he hits his girlfriend every now and then but other that”… I shake my head all the time even with the proof people would rather go with what makes them feel comfortable… Yet, in the heart will be the truth. All of these man-made kingdoms that were built on fraudulent agendas and the truth comes out there is always that selective few that will rationalize even if is deadly! I know the damage of when someone is so deep in denial they can’t handle what they have trusted for years. I can’t believe that one is that blind that they fail to come into acceptance of how bad it really is. There is something so warped about being in denial that it actually destroys more than it builds. A mother and daughter recently went to blows. The mother vehemently denied that her child had some issues with authority and very disrespectful. The mother and daughter actually was physically fighting and I told the mother years ago..that the child is handful and that when she disrespected me. That was it. Not only could the “brat” come back to my house …Every time she begs to come see me…I opt on the option box… And say NO!!!! I am, no-nonsense and I don’t reason with children. It’s nuts! What do they know. Whose the adults here ? Better yet, w hose really in charge?. Give me someone with some backbone and the strength to stand up. Not compromise and go along to get along. NOPE! I always let people put me in my place. I like that because it’s the truth that breaks them down and embarrass them that much more. I spend so little time arguing with a fool. Isn’t it amazing when expose the lies they need the proof other than that they are “QUICK” on persecuting others. This is how I know human beings who are selective when it comes to the truth. When it comes to t heir madness wont own up to it and will cut you off if you present something that they can’t handle! When I see that I am up against a stonewall I do no convincing I let them crash and burn. I am not so liberal that I am ignorant to what the truth is. I know so many abuse authority even in being passive about matters that needs to challenged and or address. They can rant about everyone else until you hit that weak spot. God forbid if it who they adore! This keeps them safe from being accountable and having to confront! Oh what pain it is to find out what yo love and trusted is “jacked up”. That perfect lie that existed only in their head and then it takes one person to burst the truth wide open. It’s at this point they will hate you because you had the courage to confront it. It’s so easy to look down your nose until you expose people internal monsters! My fervent prayer is to not let be in denial about what is obviously in my face even with the people I love. Yeah it hurts… but nothing is more hurtful to wake up with living years in denial. I think what blows my mind is the level of denial that people actually have. Birds of a feather really flock together…there is always a common thread among people who gravitate and to evil surroundings and make excuses for it. God gives us common sense. God is not godly that he cannot correct us and prune us about what we “choose” to follow or affiliate with. I don’t find it strange when people embrace evil and call it good. We think the majority rules it depends on your perspective… Someone can show, and tell people for years how bad something is. It is during their level of other experiences that they then begin to see. 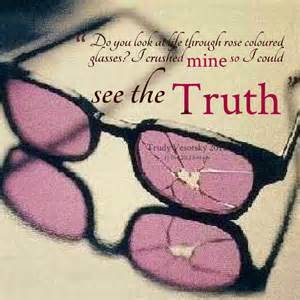 Rose colored glasses are very dangerous because often times all we have to do is remove the glasses and stop rationalizing. My point although many “EASILY CRITICIZING”and crucifying organizations today. To be at least reasonable take a look at your own situations and it will keep you in check. There is no conflict when it comes to the truth just conflicting individuals. I have seen a lot on my watch and called it out and the injustice served me right up when things weren’t challenged to be corrected. 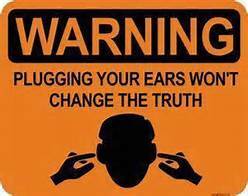 People have rode out on lies for decades because no one called out the destabilize-rs in our communities or homes! We cannot stabilize our communities until we first use the truth to stabilize what has been purposely and ignorantly neglected on our personal watches …Like the neglect of moral obligations or family values. Even the religious community act timid in fear of losing. What so many appear to be and being honest seem to be an obstacle more than a blessing! Hmmm???? I said to myself…It’s not that all of a sudden this is who people are or they just got this way… I know clarity comes with a high price tag…of being either confrontational with the problem. Instead of being in denial and rationalizing why it is this way and allowed to stay this way knowing it is wrong! Here is a minimal part of the truth…in which I learned about a while ago and what some of the Chicago public is in the dark about. It wont be long before some will find some issues with him. The police are not always community life savers.. just conduits to serve and protect. Stop listening to the “whiners” and seek the truth about the process no one is talking about…Thanks for the courage to write about it! KONKOL: Johnson will learn soon enough that Rahm will be involved in every major decision. REBELLION RE-BOOTED…KARMA OR REAPING TIME? It was in this moment the brother decided to get his life in order. He talked to be about his new life style and respected me for always maintaining my strength through the changes and I was one of the ones that stayed away from the games! Long after that someone blew his brains out on the same corner he once sold drugs! Someone disapproved. His killer has never been found to this day! Sadly, we see this too often when someone decides they want to turn their lives around and someone doesn’t care! I stay clear of responding with the good old rebuttals because someone can tell you another side of the ruthless of their street life. Meaning some murdered other people as if this part will die down. I don’t’ think so! Some say “karma” but it’s call the law of sowing and reaping they work whether you understand them or can’t see it working. I commend anyone who changes their lives for the better but it doesn’t make them less of a target. Although they may have confess their violent past doesn’t mean the past wont catch up with them! Too many forget although they may have left the life but you have to ask these questions will their past come! I have no idea how much damage had been done even in murder! Today because of the hype of being seen on social media governs some people psychotically! Whatever this narcissism stems from it can be deadly! It’s about the “likes” views, and comments…. A young Chicago man recently released from prison “allegedly” bragged about a murder or giving his street testimonial … someone remembers his day of coming out and shot him up he now fighting for his life. Violence and bragging seems to go together. It’s almost like boasting about the sins instead of true repentance. Many say they have turned their lives around but you can’t trust it! Someone grieved about who they may have murdered. When someone tells me that they are transforming I stand in the way of that change. I embrace what is present but it doesn’t mean I trust all that is being said. Violence in the black and brown community is way of life. What a long fight to fight if you are swinging at the air. Chicago murders are embarrassing! 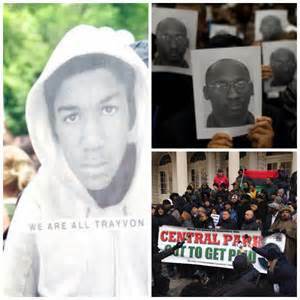 Chicago is tore up because of the seeds of violence being planted long time ago! We tend to forget the old gangsters and glamorize their lifestyles and many died horrific deaths. How can we be shocked at what has been seemed as black and brown problem? When its more than color it’s the breakdown of strong family dynamics.I will continue to say this over and over again…the symptom of violence is only being talked about. 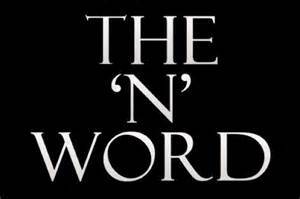 So many are afraid to speak the truth about violence it has no color…. It is evil that embedded. All these leaders are combating just symptoms..and never targeting that it’s getting worse because too many wont confront the breakdown of where the door is open in homes today! Making people comfortable in their own mess hasn’t resolve a thing! The double mindedness is destroying Chicago. 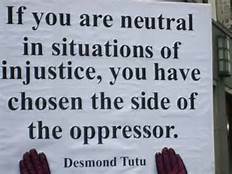 When you walk the line of truth you be abandoned the very ones who say they are about restorative justice you will be surprise how many co-sign in unison with rebellion!! Some people sit too long waiting on others to be call our “Deliverer”…So they “wait” and come to some harsh reality that they were just pawns. Never will they be allowed to resolve so many issues within our communities because so many ride the color lines and are quite prejudice in their missions. God doesn’t select groups based on how he likes the best… but who is willing to run the race. Today… I warn don’t trust every pastor, police or a politician! What do I mean? From a Christian stand point I can’t understand all the rhetoric and being partial that creates division. God help us, some follow others blindly and wont test the spirit. All this talking has been going on for years..But honestly have you seen any positive results and it has gotten worse. Chicago has more activist doing more whining than producing. Careful with acing people out of job unjustly because sooner or later retaliation will come with other injustices on the backs of hardworking tax payers! Chicago is at its deadly in decades. They will continue to trade Police Superintendents like the flavored drinks.their are certain groups in Chicago is they don’t get their way even ifs all about political gain. Changing the color of his face doesn’t mean he will gain in the race. If you keep basing violence merely on what is poor or uneducated Chicago is already behind the eight ball. What happens when one becomes weak and listen to emotional outcries instead of what is judged equally and fairly. No matter what the color the race or gender the violence will take its toll on Chicago’s . Will have more faces than Even. It’s who the believe can resolve internal problems within family dynamics which are broken down. Our situation wont stem from the police even if they are murdering people of color. We have too many existing negative elements that are failed to being addressed because you wont get hits on Face Book or be called to speak! The Pathetic Voices in Chicago are many in number. Be careful because when they are questioned about their own murky alliances you then hear the well rehearsed rebuttals and speeches. Dr. King is used as the whipping boy and the catapult to be too darn liberal until it comes off as nuts…and no balance in character. These words are considered to be a curse…some practice being actors and actresses… People learn to examine the fruit strong follower might be the next Charles Manson. THE WORD PARTIAL IS DEFINED AS… Existing only in parts, incomplete favoring one side…HOW MUCH TROUBLE HAS EXISTING ORGANIZATIONS COVER UP THE FILTH INCLUDING CHURCHES? I know for a fact some should not only been fired but never HIRED…They are blissfully happy still employed bringing shame and trouble and they find the mother of all mothers…Mother Goose! The mentality to cowardly cover those who have misconduct or otherwise. This angers when you know “certain’ people should be not made comfortable after creating such turmoil, ruckus and even a loss of life. Yet, to look them in the eye they know and you know they are trouble but seem to stay covered by those who should throw you out on your ear. And let me be correct… I challenge the church messiness…they have more excuses which is ridiculous and they “claim” to follow biblical standards… Some really could care less about a bible it’s all an act!!!! Are you beginning to see just how unfair people really are?. Are you not seeing the bully tactics from the police station to the church house. Pick a side is disgusting especially if we are to be treated fair and equal in places that serves the community. How some idiots part their lips speaking on injustices are just as criminally minded ? How is it that so many that are supposed to be apart being fair with services wont touch the evil within their organizations and are hypocritical in their stance to protect their monsters. 1) How would you feel if your loved one is murdered or violated in front of you without a just cause? 2) How would you feel if the person that violated your loved one is still gainfully employed in any organization …police, church, any arenas and the people in authority don’t seem to care that they hurt people? 3) How much is insult to injury knowing that the person who has hurt you in any capacity is held in high esteem in your face? Ask yourself these simple questions and make a fair assessment when you have to look at the racial division event with intent, those who look away when agendas are on the table… free radicalism until some come off more demented, and partial toward injustice. Consequently any injustice as a far as I am concerned is injustice to all of us. We hear very little protest about the abuse of priest molesting children…they are allowed certain privileges and he is a criminal that works with a collar. No more than a police officer murders a teenager in front of God and the world and it doesn’t matter he got a job. Does this seem fair? Yet, think about all these “rules” people use to abuse systems church included! INJUSTICE!!!! I have completely turned off “all” the talking heads when it comes to what they think is injustice. When anyone is murdered is injustice whether it’s at the hands of authority or within our community. Being desensitize is beyond and on steroids. What I can at least respect… if you be consistent about your character with injustices not just based on race and status but by its merely the wrong way to be. Who can respect “anyone” who have a difficult time standing on his or own feet without backing of the wolves to tell you when to speak and when to stand? Does this not seem unfair that anyone that its right when you say it’s right and but behind closed doors stand with wrong? Who can run a race fairly to restore justice not be apart that sets atmosphere for more violence. Anger and bitterness is also stirring the land because of the “lack of backbone” in the pulpits and the police stations. Bullies are coming out of both arenas…who can say whose zooming who? I have witnessed the foolishness and the narcissism of the religious leaders and the political leaders. They “all” get on their soap boxes and cry foul ball. They all have many masks. They say one thing but look at who they line up to tear the people down. Have you notice when it comes to getting what they want they all seem to look the other way? Church and State! 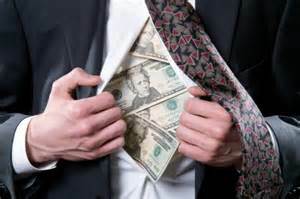 How can the church clean up corruption when the pulpits today are tainted with corruption? How can anyone stand to tell someone what they demand and not take the lead on what is walking error in their organizations? I am amazed at what carries protest signs and wont deal with the “wickedness” on their grounds? In order words how can frauds ask other frauds not to be frauds? How can anyone that say they love the people but abuse the systems with attacks, innuendos, personal an inner conflict to then take others down. Have this talk with yourself… When people come around you what are they really drawn to? Some people are addicted to drama. They don’t care what they draw as long as the attention is on them. Hey…before you slam “Trump”…Check yourselves…Doing stuff for what reason? Negative press or good press… Its stupid! It’s no longer relevant… because regardless of what you think is bringing awareness to many causes will come with consequences! And if it comes up murky what do they want from you and how can you trust dishonesty on any level? What are we honestly asking for our children when so many in bed with the devil anyway! We got adults who act like spoiled brats! So many inner conflicts you don’t know who you are talking to because of the double mindedness and the split tongues! You can’t trust it! I think a very sad reality is that many are profiting off of injustices in this country and God is thrown in for good measure. Other than that stop trusting people whether they have titles, graduating from the top of their class, or have political clout or own churches. The biggest corruption and deception are with people we would like to trust. Have you ever experienced when children know when something is off, so they keep asking because they know someone is telling a lie?So much is learned on social media even history and truth. How can you explain to a child about the lies our history have told including those man call icons? I am almost shock at how ignorance and lies seem to pair together on a daily and people can obtain more information than ever but its the lies the gravitate to. How can one call themselves activists and or leaders and abuse their spouses? What can he or she be activating with no character beside the violence? How does one that believe that they are in ministry but have their hands dirty messes and evil hearts? How can we ask that poverty be eradicated and we have people in politics bleeding citizens and getting rich? How can any religious or faith-based leaders ask for justice and fail to clean up their own sanctuary messes? How can we fight for social injustices and protest but sell drugs or watch those that do ? How can one complain the system has failed our communities but allow criminal activity to be in ones homes and on their watch? How can we say we fight against bad policing and fail to address the bullies in our churches? How can we say we love God but affiliate with evil and make excuses why you do? I can guarantee that there would be some kind of half baked answer. The truth is … That we have so many hypocrites in the pulpit and at podiums. Is it fair that so many get involved as a way of being superficial? This has nothing to do with being a Christian. Lets start small and say why can’t you be correct? People have abused authority to build their personal kingdoms and don’t care how it has backfired! Lies in history have been repeated so much until, if you come with a slither of truth they are deeply offended and need proof. Camera means what? We have video tapes of things being wrong and what is ever corrected? Some people know that some people are ruthless and calculating instead of being wise becomes the puppet! Some people have this rich history on putting twenty on ten… In others words exaggerating or embellishing the truth. Let me be clear no matter how one leads doesn’t necessarily means I follow. I am not in denial about when a man or woman, Jew or Gentile, or whatever your “faith-based” is… I was warned to stay away from the appearance of “All” evil… yet, people don’t care what breeds among them. I do! I don’t have a carefree attitude when it comes to the bad apple. It only takes one! Too many have sold their entire lives trying to get something for nothing! How much more corruption do anyone needs to see… You can look at the political thirsty and those thirsty for power! Think about this folks… How much has changed for the better in religion or political powers…NOT MUCH! With all the knowledge of doing things better and getting it done…Is it really being done? For some to ride out on the people with fear, and the world will be a better place. To stop this nonsense …look at what surrounds them and ask yourselves what have the really done to push people forward or keep them hostage. Are they about unifying and dividing. The answers isn’t surprising! Educated yourselves before we call them “heroes” and have s… Know when someone has you back or putting the knives in it!